The New World Center is a magnificent architectural gem designed by Pritzker-prize winning architect, Frank Gehry, in collaboration with Michael Tilson Thomas, 11-time Grammy award winner and New World Symphony's co-founder and artistic director. The building has received glowing reports from architectural reviews. 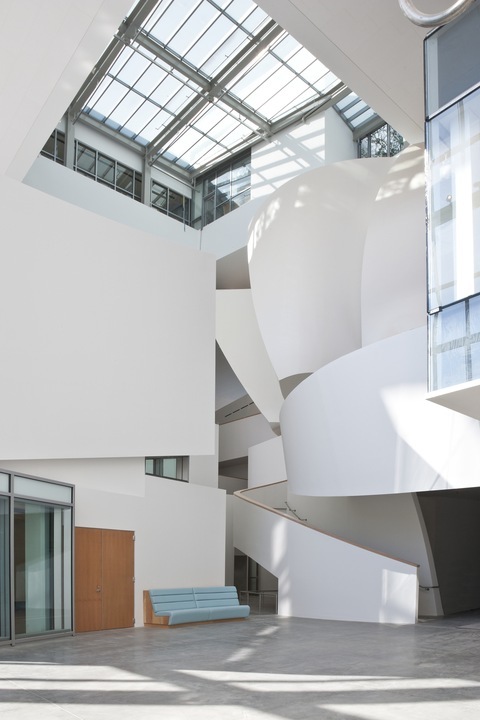 Christopher Hawthorne, Los Angeles Times Architecture Critic, said of the building: "Its soaring sky-lit atrium is filled with a jumble of the architect's familiar sculptural forms. 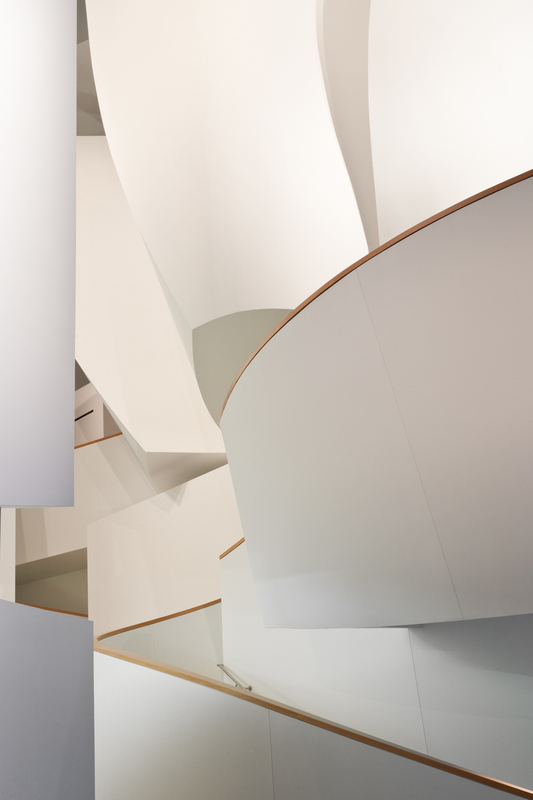 Another collection of his daring shapes awaits inside the auditorium.. the interplay between rectangular containers and their virtuosic architectural contents gives the design a shifting, unpredictable vitality." 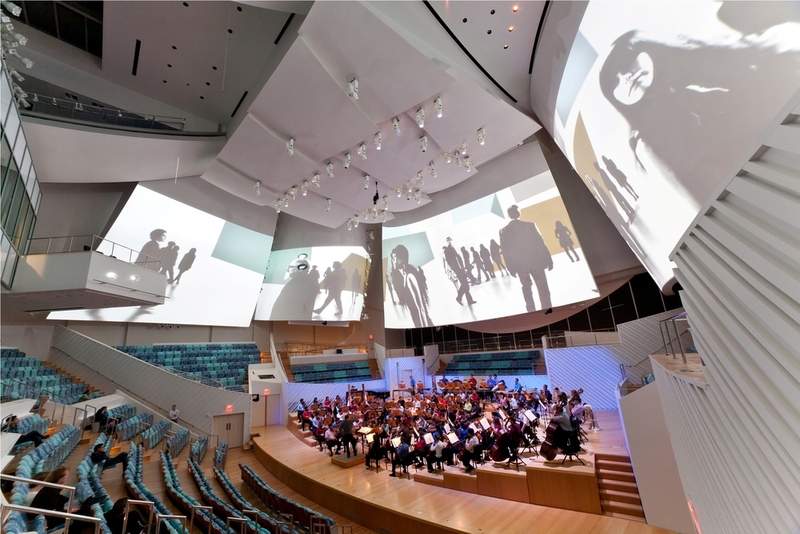 The New World Center's innovative architecture provides the perfect campus for this unique laboratory that offers a new approach to how music is taught, presented and experienced, under the direction of Michael Tilson Thomas. The New World Symphony offers a highly coveted fellowship program to graduates of distinguished music programs, preparing them for leadership roles in professional orchestras. The last season closed May 7th with a concert dedicated to "majestic Sibelius and vibrant Berlioz" according to a glowing review by the South Florida Classical Review. In addition to showering praise on Michael Tilson Thomas, the review mentioned the huge crowd gathered on the Miami Beach Soundscape lawn to enjoy the WALLCAST broadcast of the concert. The incredible turnout for the WALLCAST season finale was a sure sign that this event will be sorely missed by the community until the season opens up again in October. The new season opens October 15th with an impressive schedule of concerts and events and an array of subscription packages to choose from. The New World Symphony is also actively engaged with the community, offering multiple opportunities for schools, teachers, families and aspiring musicians to engage via a number of original programs. Thierry Isambert Culinary and Event Design is the exclusive caterer to the New World Center and also manages a concession on the first level of the Atrium. 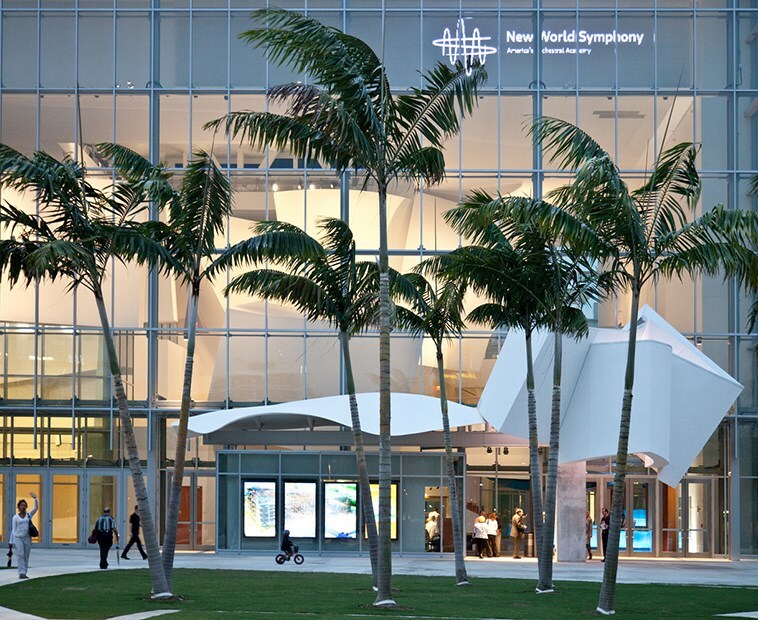 The past season has featured a host of spectacular and successful events including The New World Symphony's 28th Annual Gala in March which was named by BIZBASH as one of the season's top benefit galas in South Florida. We also catered a number of 2 and 3 day seminars where corporate clients rented the entire venue. The New World Center is perfect for corporate events. The entire building is embedded with high performance technology. This includes high speed remote digital communication for executives seeking virtual connectivity, high definition projection capability, real-time web interaction, live webcasting capabilities and enhanced lighting and audio features. The venue is also divided into a "front and back house," meaning that clients need never see the back end of catering and event production activities. Each room or area in The New World Center provides a different experience. For example, the Performance Hall with its highly configurable layout, often hosts large group seminars with key-note speakers, using the state-of-the art multi-media features. The same events use the Atrium, with its vaulted ceilings and six stories of natural light, for cocktails or sit-down lunches, while break-off groups use smaller, multi-media enabled rooms for more intimate discussions. Grand opening or closing event dinners are often served on the Rooftop Garden with its panoramic vista of Miami Beach from the bay to the Atlantic Ocean.